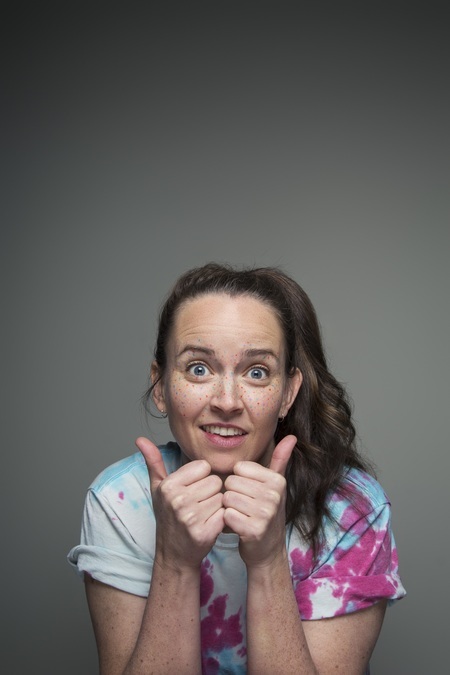 Zoë Coombs Marr says a relaxed 'nah' to the high energy conceptual comedy it takes to get women comedians noticed. She stands out as a different type of comedian precisely because her stage presence is that of a traditional standup – very much the straight man. Except that she's not straight and, at least this time, not a man. The incisive riffing on heterosexual culture is brutally funny and fiercely relatable for bi and lesbian women. Coombs Marr admits that she feels odd performing as herself and not as 'Dave' – the stereotypical male comedian persona that in some ways eclipsed 'her' career. Even while not impersonating a male comedian this show is a sharp rebuke of the exhaustingly inane material that's expected from straightforward standup. Bossy Bottom includes a live audience camera and a drone flying around the tent. This perhaps veers towards the gimmicky, but Coombs Marr knows her act is unexpected and uses it to lead the audience into endless ridicule of her own format. The show is still in development, but Coombs Marr is refreshing – and devastatingly funny.